It’s easy to see the importance of destroying the information on your hard drives. Just one hard drive can be the equivalent of a room full of documents. Before you send of your computer to be recycled you need to make sure that it is cleaned. While it may seem that all you need to do is delete the files this is not adequate. This leaves the data on the drive and only takes it out of the directory. Free hard drive recovery software will easily find the files are restore them to the operating system. Emptying your trash provides no more security. For complete destruction of any information; it is hard to beat physical destruction. It is easy to see that the information can’t be retrieved when the hard drive is in pieces. But if you are donating your computers then that is not an option. The two most common choices remaining are degaussing and erasure. So what are the advantages and disadvantages of each. Degaussing is the process of using a magnet to destroy the information on the magnetic media. The drive stores information by setting up a remnant field on a small piece of the drive to represent a one or a zero. Degaussing doesn’t destroy the remnant field but makes it too slight to read. On a side note, degaussing was first used on ships in world war two to decrease the magnetic signatures that showed up on radar. 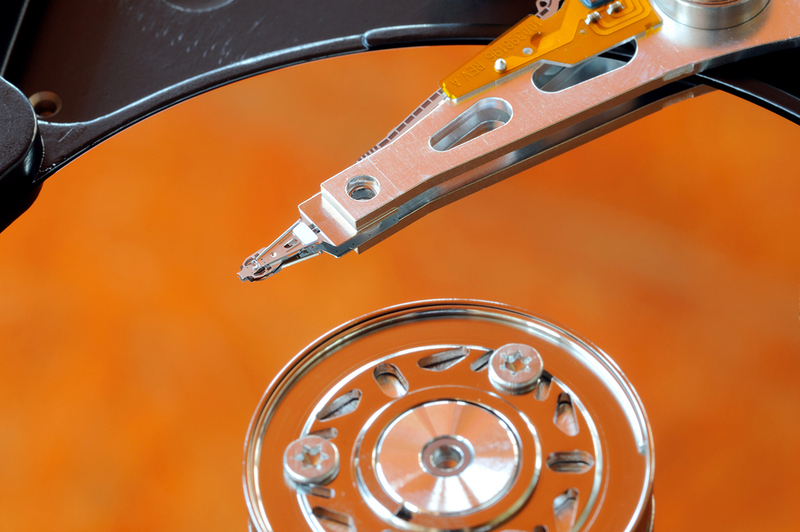 Erasure or overwriting is another option for destroying information on a hard drive. The process uses software to write a one in every block of the hard drive. This is then followed up with a zero being written in every block of the hard drive. Better software packages will do the process several times to ensure that there is not a remnant field that can be detected. If you choose this method then you need to make sure there are not hidden or locked partitions to the drive that the software will not cover. If you are getting a new computer; we are here to help you destroy the data on your old hard drives. To get started, fill out the form to the right, or give us a call at (800) 747-3365.